The Guilford College men’s basketball team is looking to start this season off on the right foot by putting team chemistry first. Last season the Quakers went 15-12 overall and 10-6 in the Old Dominion Athletic Conference. They made it to the second round of the ODAC tournament, but suffered an 81-63 loss to Washington and Lee University. In the 2016-17 season, Guilford’s men’s basketball won the ODAC Championship and made it to the second round of the NCAA Tournament. 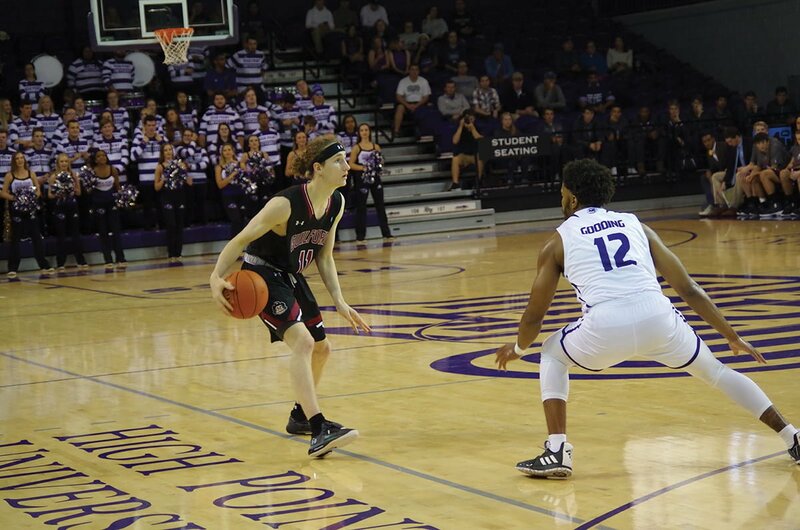 They expected to perform at the same level last season but did not focus on the path that would lead them to post-season play, according to senior forward Carson Long. This year the Quakers are putting last season behind them and focusing on team chemistry to make sure the talent they have can work as a unit. The Quakers are only 14 practices into the season and already there are signs of improvement. Team chemistry is not the only thing that will hopefully help the team improve from last year. The team will have more depth than they did last year, returning at least four starters. They also hope to add more talent from the incoming first-years. The first-years have to find a way to contribute to the team as Curry and Long led the Quakers last season. Curry earned First-Team All-ODAC honors, averaging a team-high 16.2 points per game which also stood fourth in the ODAC. Long earned Second-Team All-ODAC honors, leading the team with 7.4 rebounds per game which stood ninth in the league and averaged 14.0 points per game. It is still early in the season and the coaches are still figuring out logistics. The Quakers have two exhibitions against NCAA Division I High Point University and The University of Iowa to help put the best players in the right places. The team is moving forward with working on their team chemistry and depth to be successful this season. “We have aspirations of winning conference championships and competing on the national level,” said Palombo. The Quakers open their home schedule Nov. 13 against Greensboro College at 7:30 p.m.